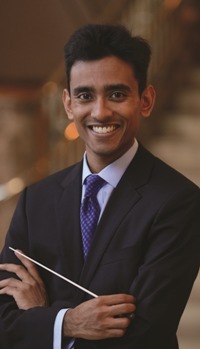 Today, the Nashville Symphony announced that Vinay Parameswaran will be leaving his position as Associate Conductor here to become Assistant Conductor at The Cleveland Orchestra. Vinay leaves Nashville in June to assume his new responsibilities. 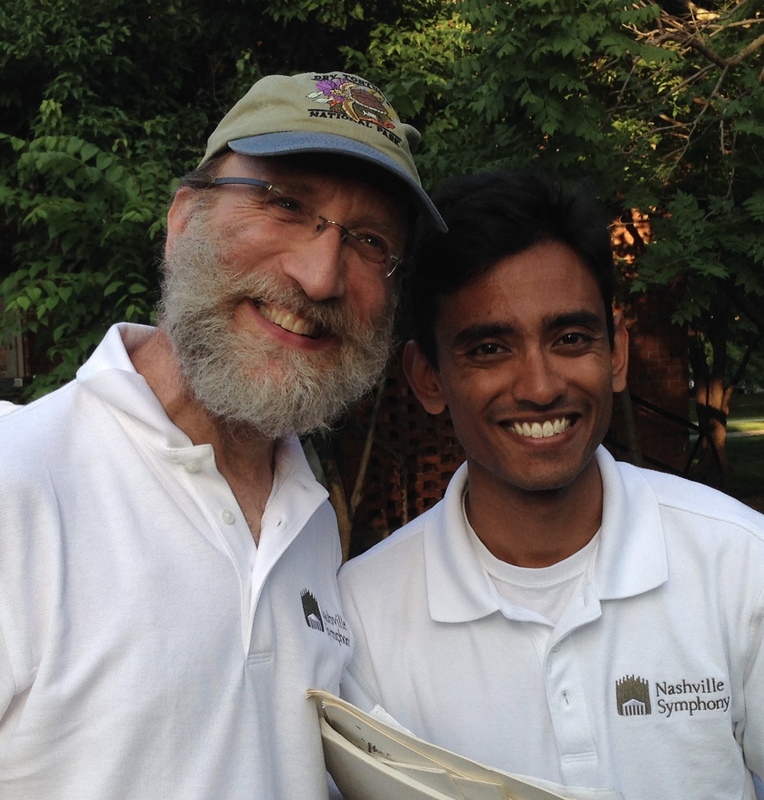 It has been our privilege to work closely with Vinay on many education and community programs in the last couple years, and I know I speak on behalf of the entire EDCE department – and everyone here at the Nashville Symphony – in expressing how much we will miss him. Vinay is a tremendously talented, insightful, and positive musician and it has been a joy to collaborate with him. 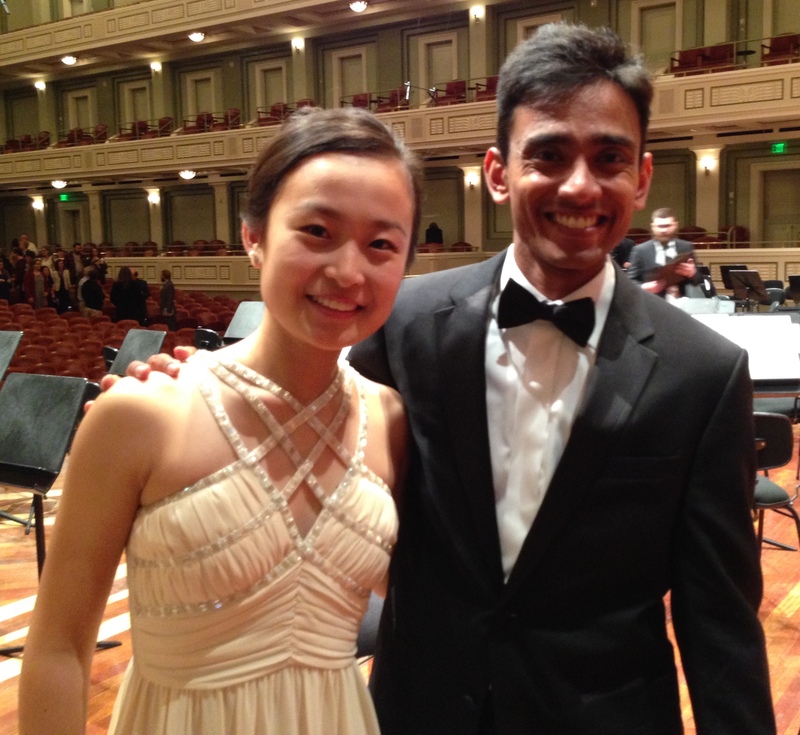 Last week Vinay and I sat down for an hour to reminisce about his time at the Nashville Symphony and reviewed some of the highlights of the last several years. The first time I saw Vinay conduct was January 31, 2014, when I was still teaching at Nashville School of the Arts. It was his first week conducting the Nashville Symphony. Dancers from the NSA ballet studio were performing an abridged version of Stravinsky’s Firebird in the symphony’s Young People’s Concert series that month, and after performing this many times at Schermerhorn for packed houses of 3rd and 4th graders, the symphony came to NSA and played Firebird while Debra Perry’s students danced for their classmates in the school gym. At that time I had no idea that I would soon be coming to work for the symphony and that Vinay and my team would spend many hours together, planning concerts and other educational activities. Vinay Parameswaran was born in Walnut Creek, California and grew up in the San Francisco Bay Area. He began playing piano at age 4 and percussion – initially drum set! – at the age of 6. By middle school he was already playing percussion in band and taking private percussion lessons, and from 7th grade until he graduated from high school he participated in the San Francisco Symphony Youth Orchestra (SFSYO). In high school, Vinay took classes at San Francisco Conservatory of Music‘s Pre-College division, including lessons with Jack Van Geem, (then) Principal Percussion of the San Francisco Symphony and (still) Percussion Chair at SFCM. He also participated in debate, wrote for the school newspaper, tutored other students, and participated in piano and percussion competitions. Vinay attended Brown University in Providence, Rhode Island for his undergraduate studies and earned a B.A. with a double major in Music and Political Science. Initially he had interest in becoming a lawyer. But a high school music teacher named Ric Zappa had suggested that Vinay consider studying conducting, and it was while at Brown that he began his conducting studies. He took lessons with Paul Phillips, brown’s orchestra director, including reading through scores at the piano, becoming familiar with different clefs and transpositions, baton technique….the first score he studied was Brahms’ Symphony No. 1. “And with that, I was hooked.” he said. He applied to 10 schools to pursue conducting studies after graduating from Brown, although from the beginning his first choice was Curtis Institute of Music in Philadelphia. 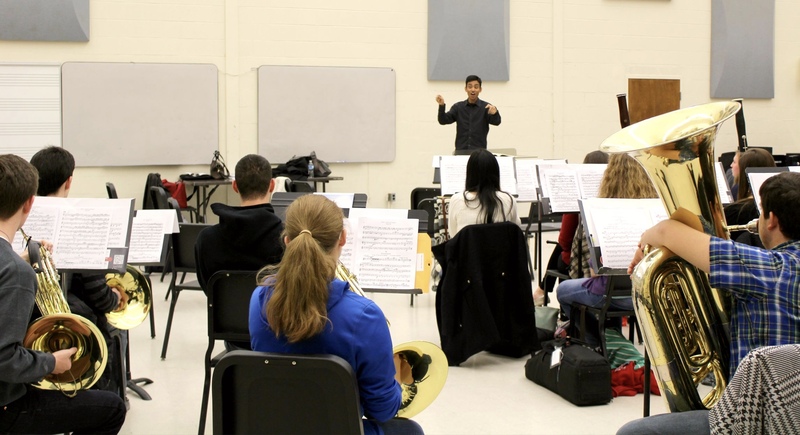 Vinay attended Curtis from 2009 – 2013 and received an Artist Diploma in Conducting. Nashville Symphony Vice President of Artistic Administration Larry Tucker contacted Vinay about auditioning for the position of Assistant Conductor here in the summer of 2013, and he auditioned for the orchestra in September of that year. The rest is history. VP participated in many aspects of EDCE programming during his time at the Nashville Symphony, including appearing in several videos promoting or describing our educational programs. The first appeared in June 2015: Nashville Symphony: Your Community. 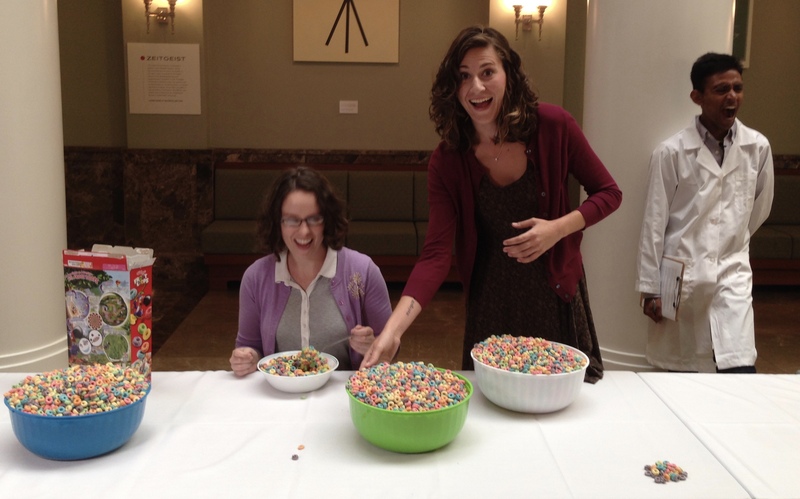 Your Orchestra., a sober documentary-style piece about the importance of music education. Other videos, featuring VP as the straight man, endorse EDCE programming in a lighter vein, beginning with this video in which EDCE staff make cameos as characters from (at the time) upcoming movie concerts. This video premiered before Nashville Symphony performances of Home Alone in December 2015. 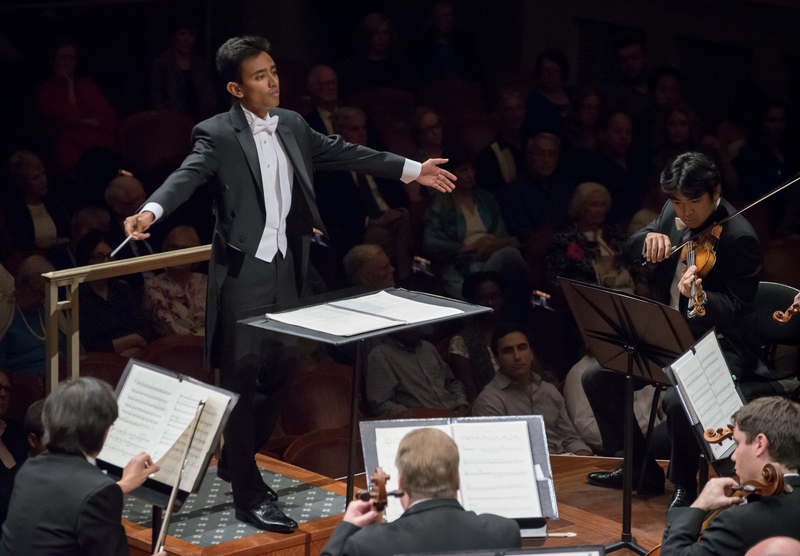 Vinay began as Assistant Conductor at the Nashville Symphony in January 2014, and was promoted to Associate Conductor beginning with the 2015 – 2016 season. His responsibilities included “covering” – learning the scores and being present and ready to take over in case of emergency – for every Classical Series concert. In addition he conducted many Pops Series concerts, Special concerts, and movie and video game music concerts. During November and December of 2014, when I was transitioning from my position as choir and orchestra director at Nashville School of the Arts to my post at the symphony, the NSA Madrigal Singers performed as the chorus on the symphony’s Pied Piper performance of Gian Carlo Menotti’s Amahl and the Night Visitors. Vinay met with me to discuss our role in the production, and visited me and the choir at NSA to rehearse. It was the first of many collaborations. We have spent many hours together since then, sketching out themes and programming with Larry Tucker and discussing scripts with Kelley Bell: for Nashville Symphony Young People’s Concerts, Pied Piper Series concerts, and Community Concerts. Vinay conducted nearly all of these performances. He also conducted Free Day of Music performances, Side By Side concerts with Curb Youth Symphony, and served on the jury panel for the final round of the Curb Concerto Competition each year he was here. I asked Vinay about what he felt were his personal highlights of the last few years here. Vinay’s first Classical Series concerts in October 2016 featured Tumblebird Contrails, which was composed by Gabriella Smith, a classmate from Curtis; Grieg’s Piano Concerto featuring soloist Conrad Tao; and Prokofiev’s Symphony No. 5. Vinay speaks about his Classical Series debut here. 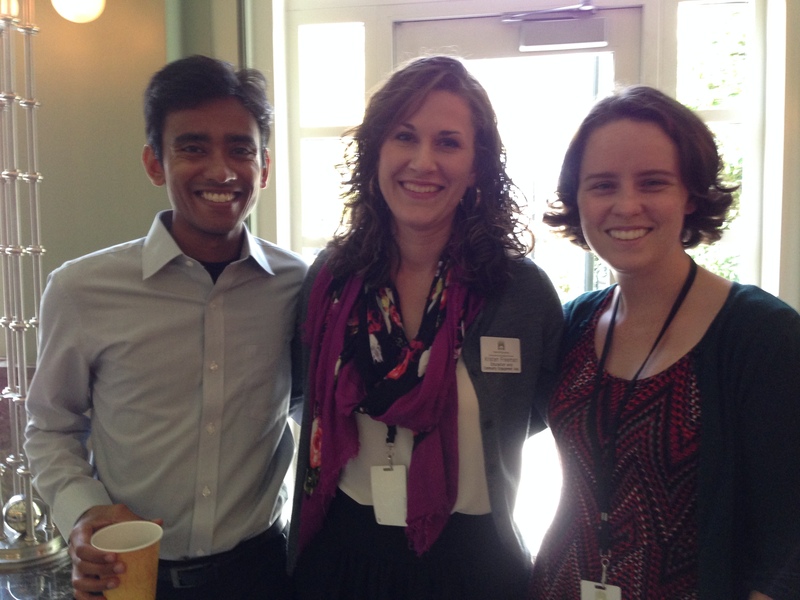 It’s been a truly wonderful experience working with Vinay – we will all miss him. Not only is he a superb musician and conductor, he is a kind and thoughtful person and all-round superlative human being. 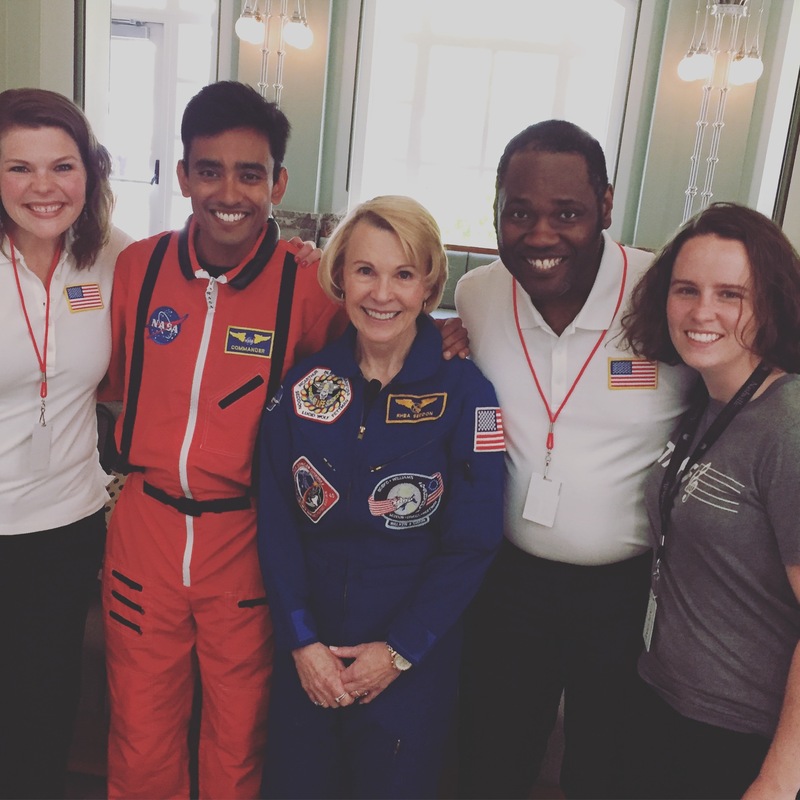 I am excited to watch what will happen in the coming years for him and his career, and proud that we had the opportunity to work together to make some innovative and impactful education and community programs a reality here at the Nashville Symphony. VP plays the scientist in our rundown of EDCE statistical impact Crunching the Numbers. Read about Vinay’s new appointment at The Cleveland Orchestra here. By walterbitner in Nashville Symphony on April 3, 2017 .